365 Fashion and Lifestyle: THE ART FILE. MADE TO ORDER CARY GRANT. THE ART FILE. MADE TO ORDER CARY GRANT. 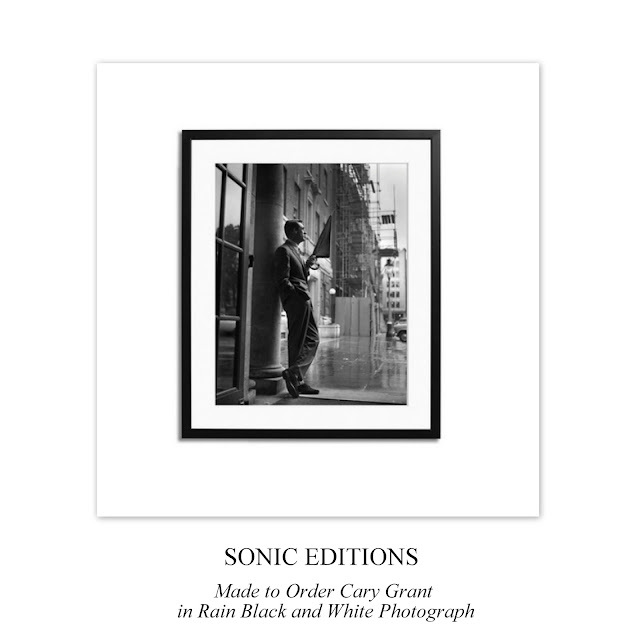 Easy to place in any respectable art file, the made to order Cary Grant in Rain in black and white from Sonic Edition depicts a moody scene of British-born, sheltering in a hotel porch as he waits for the rain to stop. This personal favorite will make a great addition in any home decor.